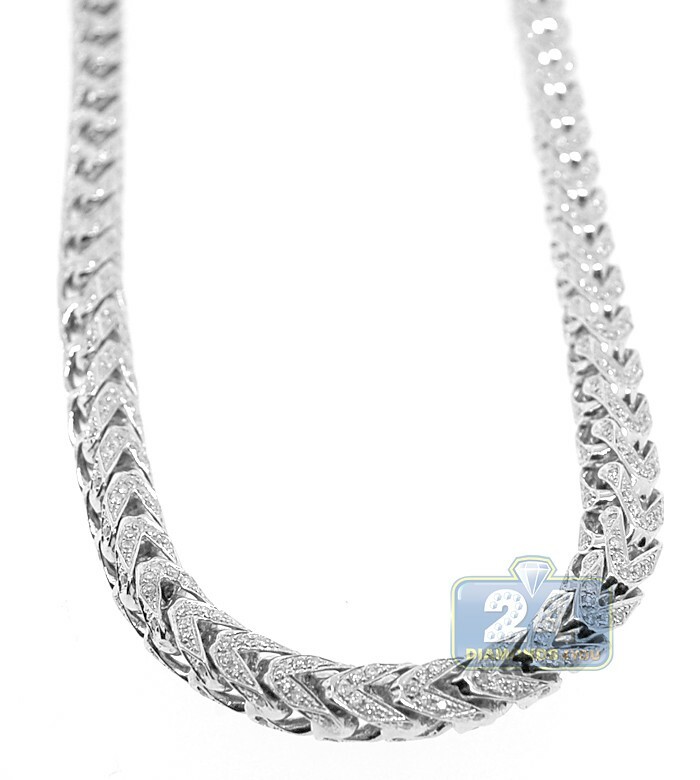 Mens Diamond Franco Chain Solid 14K White Gold 12.0ct 5mm 30"
This luxurious men's diamond chain showcases the lustrous beauty of classic franco design! 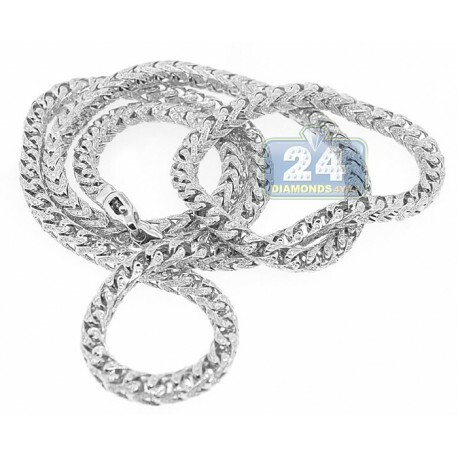 It's ably handmade of solid 14 karat white gold, and highly polished for very smooth feel. 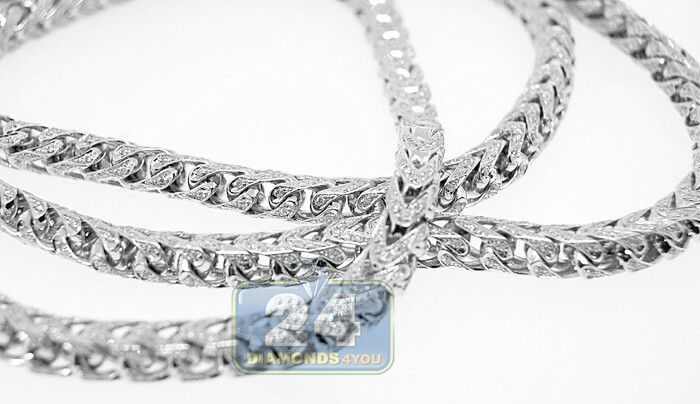 The franco necklace is encrusted with icy white round brilliant-cut natural diamonds totaling approximately 12.00 carats. 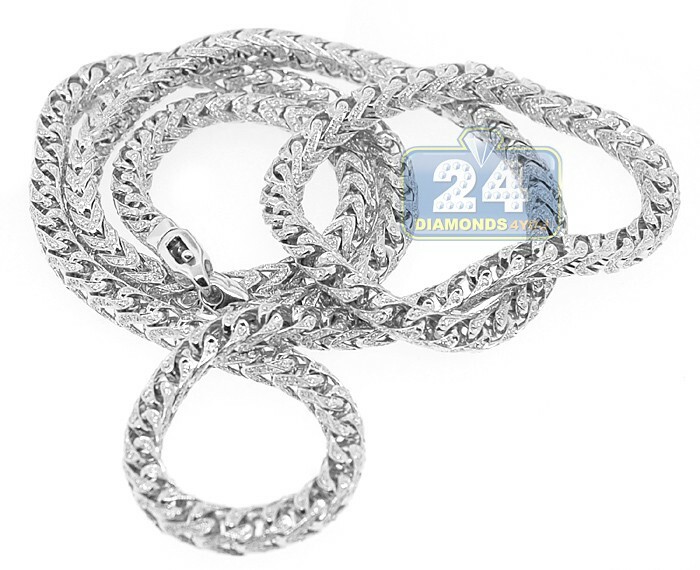 Our diamond necklace for men measures 30 inches in length, 5 mm in width, and weights about 95 grams. It's also secured by a comfortable lobster clasp. Unique piece of jewelry for a sophisticated collector!